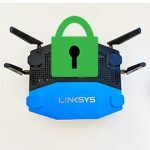 Ever since the WiFi mesh systems entered into the mainstream, the development of new consumer-friendly networking technologies seems to have slowed down a bit and some manufacturers started focusing more towards polishing their already existing devices, while others aimed at diversifying their offer. 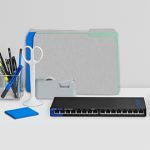 This way, Eero has released its second generation tri-band system, Netgear released a dual-band successor to its tri-band Orbi and Linksys increased its portfolio with a dual-band Velop. 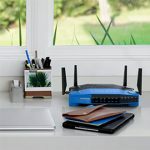 Following this trend, TP-Link has also decided to compete in the higher-end segment and has recently released its own tri-band mesh system, the TP-Link Deco M9 Plus, which can be considered a successor to last year’s dual-band Deco M5. 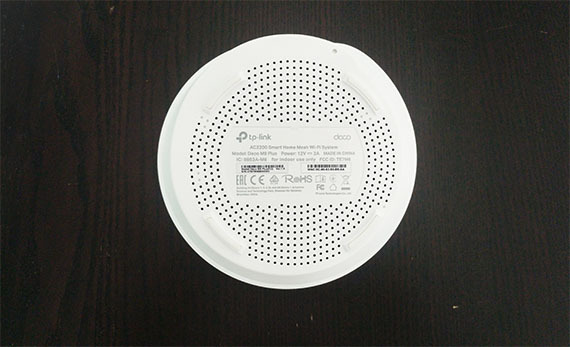 Besides adding another 5GHz radio (for a better backhaul traffic handling), TP-Link decided to go step a further and it has also included a ZigBee and a Bluetooth antenna, so, besides being a WiFi mesh system, the Deco M9 Plus also acts as a smart home hub. 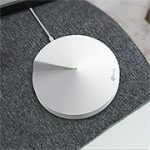 Eero has betted its money only on the Thread protocol (implemented into the second gen WiFi system), so it’s interesting to see that TP-Link went with the same Gecko SoC, but advertising the support for the ZigBee technology (the Google WiFi also added support for the ZigBee tech, which ultimately, remained unused). Regardless if it will gain some traction or not, this is a nice addition to the M9 Plus which would negate the need to purchase a separate hub. 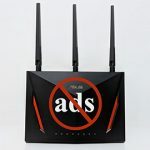 That being said, let’s have a closer look at the TP-Link M9 Plus and see if it’s a more attractive option than its older tri-band competitors. Note: Besides the Deco M9 Plus, TP-Link also released the Deco P7 which is a WiFi and PLC Hybrid Mesh System (it uses the HomePlug AV600 standard). 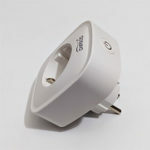 The consumer WiFi systems have been generally well received by the general public, in part, because of their minimalist design approach (besides the ability to cover more ground with WiFi), but, while the dual-band systems had no problems adding all the necessary hardware into small compact units, the tri-bands require more space to not overheat, so the larger cases of the Orbi or the Velop were welcomed as a natural occurrence. 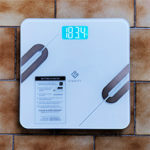 Well, until Eero somehow managed to cram everything under the same-sized case (with its second generation) and Asus released its small tri-band Lyra units, but this came at the cost of a unsuitable heat management. 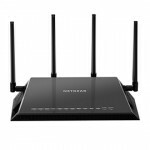 Of course there are some exceptions from the rule, such as the case of Asus which is still using traditional-looking routers, but the AiMesh is an entirely different beast and even D-Link with its Covr system eventually gave in and also went with the smaller form-factor units. 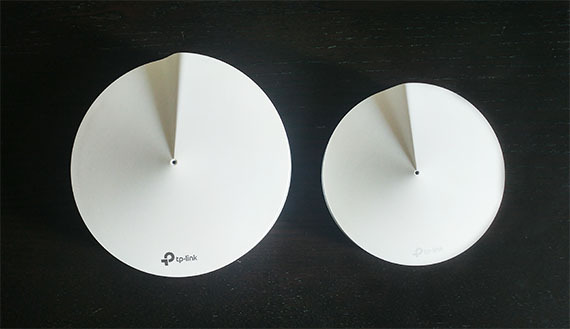 The TP-Link Deco M9 Plus falls somewhere in the middle because it’s not as big as the Orbi or the Velop, but still grew in size and we pretty much ended up with an oversized Deco M5. That’s right, besides the larger proportions, there is barely any difference between the last gen M5 and the current M9 Plus: it still kept the circular case with that seashell fractal design on top, but it grew from the 4.7 x 1.3 inches of the M5 to 5.7 x 2.5 inches and it also got significantly heavier (it weighs 0.94 lbs). This means that the units remain compact and can still be easily positioned all around the house without standing out because of their neutral design. 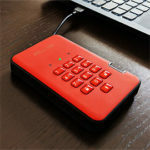 Furthermore, because of the increased weight and the relatively narrow height, neither of the three units (available in the package) will budge even if you connect wires to all the ports – that’s also in part thanks to the four silicone feet positioned on the bottom of each device. 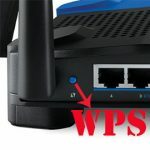 One element that the WiFi systems lost when they transitioned from the traditional router shape to the current Applesque form is the ability to be mounted on the wall, so they are bound to a ground position; sure, there are some mounting plates available from third-parties, but these may impede with the case ventilation, if there’s any. Thankfully, TP-Link has taken the heat management more seriously than some of its competitors (Eero, AmpliFi HD and Google WiFi) and there are some punctured holes on the bottom side of each Deco M9 Plus unit to help a bit with the case ventilation. This has proven to be relatively enough for the smaller Deco M5 and it is somewhat acceptable even for the M9 Plus which does get warm on the bottom side and it had some hot spots near the label. Similarly to the Deco M5, the Deco M9 Plus doesn’t really take advantage of the LED light to enhance the appearance of the unit, so it’s still a small dot on the top side and it still has the role of showing the status of the connection and the network: the LED indicator is going to be yellow when the unit is in start-up phase, it will start flashing blue when the device is ready for setup and will become blue solid when the user initiates the initial configuration process; if the LED indicator becomes green, then the device is registered and everything is working properly, but if the LED is solid red, then the router has encountered an error. So, in a sense, the single LED is a bit more intuitive than on the other WiFi systems (green is good, red is bad), but the user still needs a manual to understand the other colours meaning. 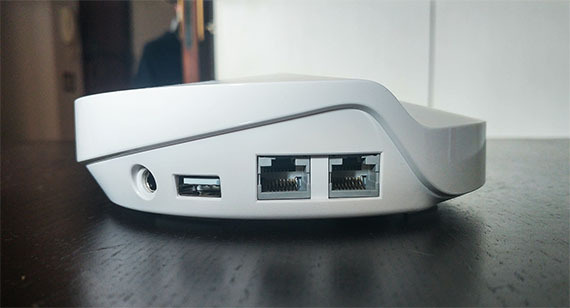 If you take a Deco M9 Plus in your palm and look around the case, you’ll immediately see the ports area, where rests a Power slot for connecting the device to a power socket, a USB port, which, at this moment is ‘Reserved’ (there is a chance that if the smart home hub aspect of the unit will become a big thing, then the manufacturer may consider releasing a Z-WAVE USB dongle in the future, just like SecuriFi did) and, lastly, there are two Ethernet Gigabit ports, one for the connection to the Internet, while the other can be used to connect any of your devices via a cable. In terms of internal hardware, the Deco M9 Plus is very similarly equipped to the Eero Second Generation, so it also comes with a quad-core Qualcomm IPQ4019 chipset (clocked at 717 MHz), 512 MB of RAM (Nanya NT5CC256M16DP-DI), 4 GB of flash memory (Micron MTFC4GACAAAM-1M) and a Qualcomm Atheros QCA8072 switch chip. 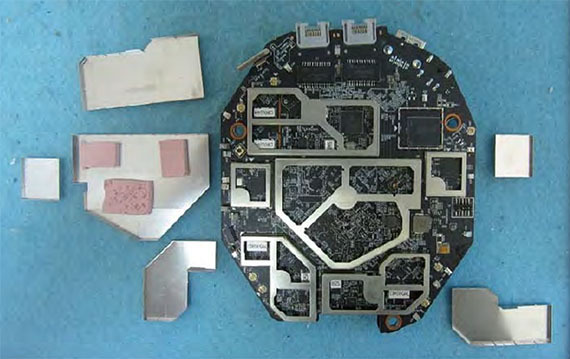 Additionally, the M9 Plus uses the Qualcomm IPQ4019 chip 2×2:2 for the 2.4GHz radio, the same IPQ4019 chip for the first 5GHz radio along with RFMD RFPA5542 power amplifier and the second 5GHz radio uses a Qualcomm Atheros QCA9886. Besides that, the M9 Plus is also equipped with a CSR8811 Bluetooth 4.2 SoC (Cambridge Silicon Radio), as well as a Mighty Gecko EFR32 MG1B232GG SoC for the ZigBee and Thread technologies, therefore allowing the device to function as a fully-fledged smart home hub. 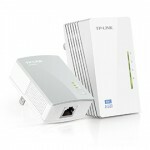 Every TP-Link Deco M9 Plus unit features a maximum theoretical data transfer rate of 400 Mbps on the 2.4GHz radio band and a maximum theoretical data transfer rate of 867 Mbps for the first 5GHz radio band, as well as on the second 5GHz radio band (adding up to 2134 Mbps which TP-Link rounds up to 2200 Mbps). Note: The Deco M9 Plus is compatible with Alexa. 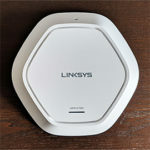 The main highlight (and pretty much the raison d’etre) of every WiFi system is to cover a larger area with WiFi (than the traditional router) using multiple units, ensuring a seamless connection throughout the house even if the user has to go from node to node. 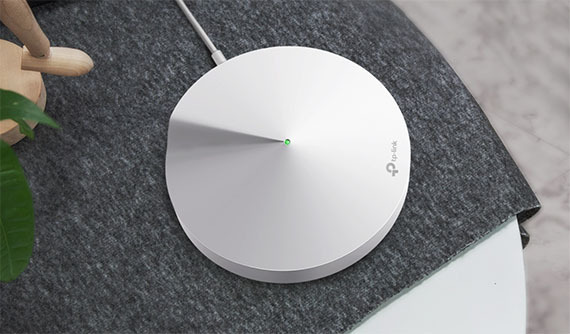 To accomplish this, the manufacturers use what they call the mesh technology, which doesn’t really use any standard (it’s proprietary), so you won’t be able to connect a Google WiFi node to an Eero network, but, if you have decided on the environment you’re going to build, you can use nodes from the Deco M5 system along with units from the new Deco M9 Plus system (it is backwards compatible). 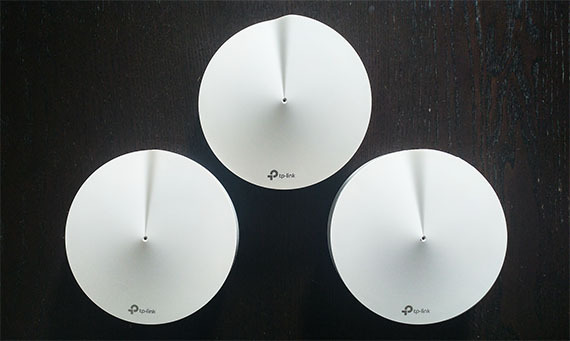 TP-Link’s implementation of the mesh tech works pretty much in the same manner as on its competitors, so it also detects all the nodes on the network to find the fastest route through the least crowded units and, in case you add new Deco devices, it automatically makes it a reliable member of the mesh network (for creating new routes), while, in case a unit goes offline, the remaining nodes will have to ensure that the data will reach its destination.